Red Bull KTM’s Jeffrey Herlings could seal the 2018 MXGP FIM Motocross World Championship at his home Grand Prix in two weeks time after a fifteenth win of the season at Afyon today in Turkey. The Afyon Motorsports centre made an FIM World Championship ‘debut’ this weekend for the first Grand Prix in Turkey since 2009. The course was hard-packed, wide, fast and rough in sections that made for some relentless racing and Red Bull KTM again played their part in some hot and sunny conditions in front of 15,000 spectators (weekend figure). The fixture was the third in three weeks for the MXGP paddock and the eighteenth round of twenty in the 2018 campaign. Jeffrey Herlings stands on the brink of his first title in the premier class and the fourth of his career after his thirteenth 1-1 victory of the season. The 23 year old Dutchman controlled proceedings in the opening moto with his KTM 450 SX-F after winning the Qualification Heat for the eleventh time on Saturday. Herlings faced some competition for the lead deep into the second moto from 2016 champion Tim Gajser but maintained his speed in the final minutes to again take the chequered flag. 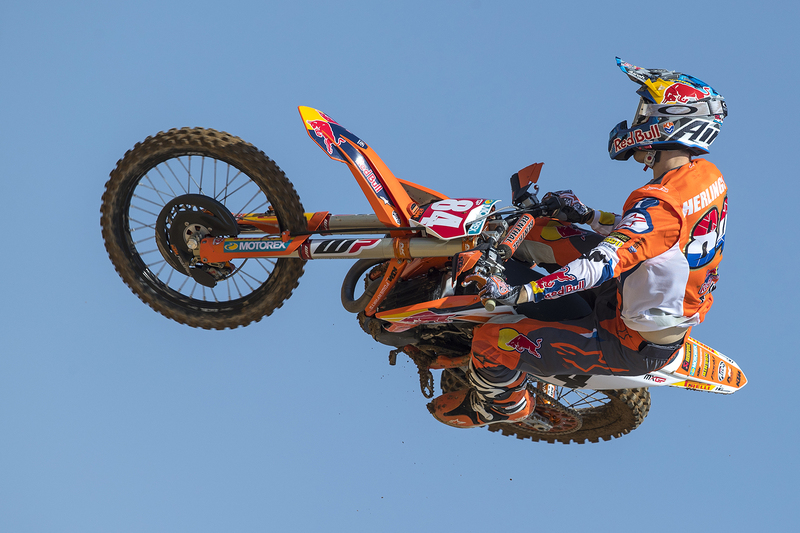 Herlings has won the last 7 Grands Prix in a row, 11 from the last 12 and has not been defeated for the last 13 motos. #84 now has a margin of 95 points over world champion Tony Cairoli with just 100 left to win in events in Holland and Italy. After three consecutive weekends of action MXGP will reassemble for the last two rounds of the 2018 campaign in a fortnight’s time with the Grand Prix of the Netherlands taking place at Assen for the fourth year in a row.